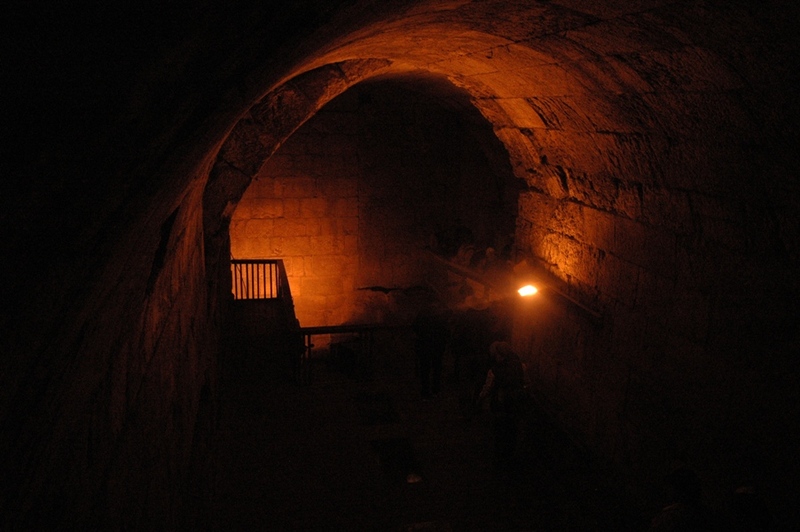 Today we started INSIDE the Old City of Jerusalem, entering through a gate that was created just west of the Dung Gate, through which you can imagine yourself walking on the first century Roman cardo (the main street of a Roman city). Throughout our time in Israel we saw many amazing sights we expected as well as some startling unexpected sights. 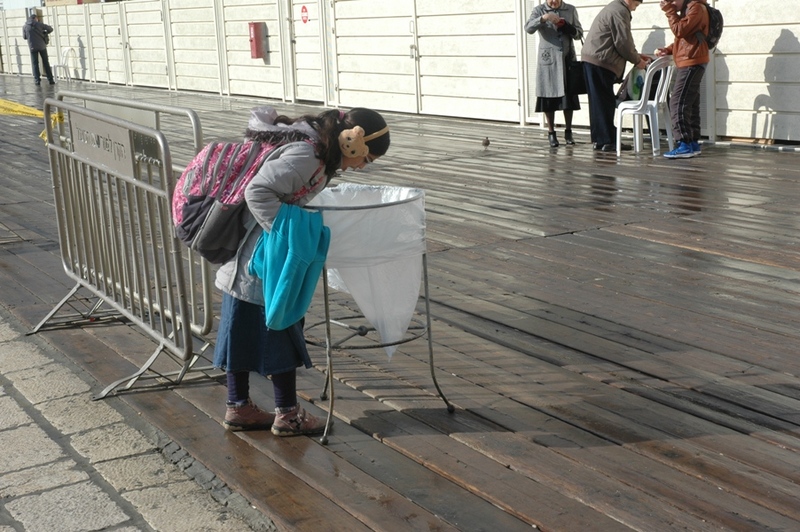 I didn’t expect to see a young girl foraging through the trash at the western wall plaza, looking for something to eat on her way to school. Could I say that I would have done something like that myself at that age, out of the watchful eye of my parents? Probably. 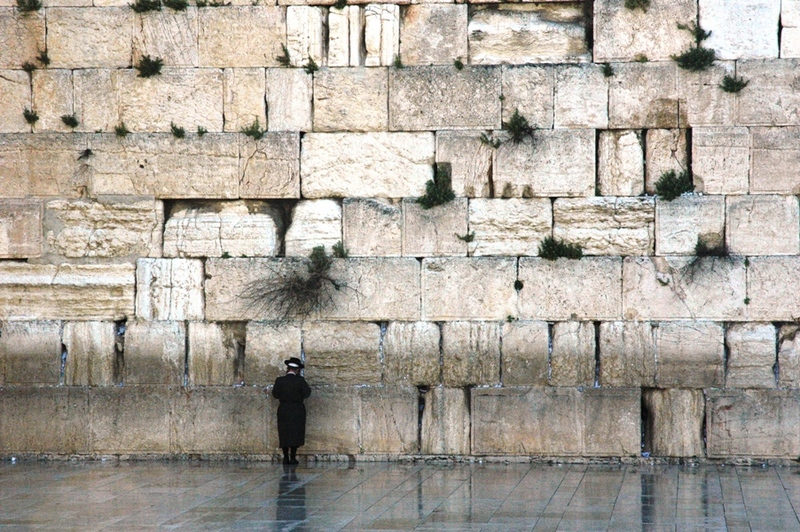 I’ve been at the western wall on a Friday evening, at the beginning of the Sabbath, when it’s electric with activity. But on this morning only a few people were stopping by to pray. 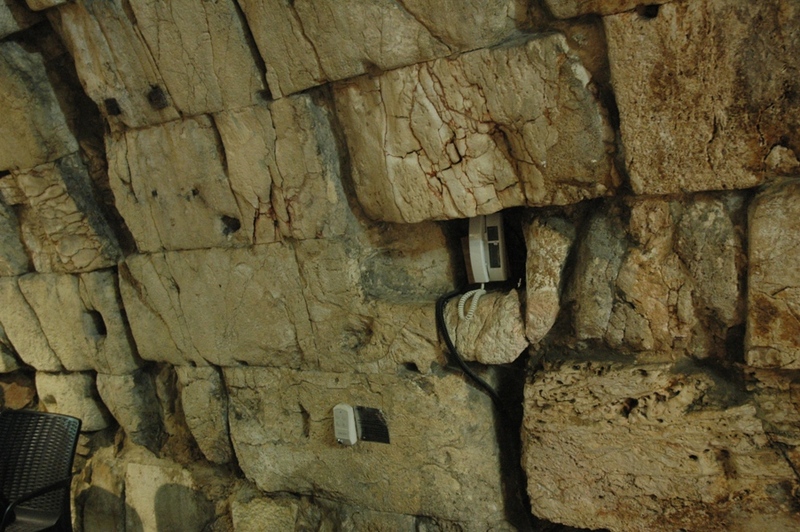 As we began our tour of the western wall tunnel we discovered the remains of an ancient wall phone installation. But we were unable to determine if it was Bronze Age or Iron Age, or some other era. In 1992 I had my first tour of the western wall tunnel courtesy of Dan Bahat, one of the first archaeologists to direct the work. 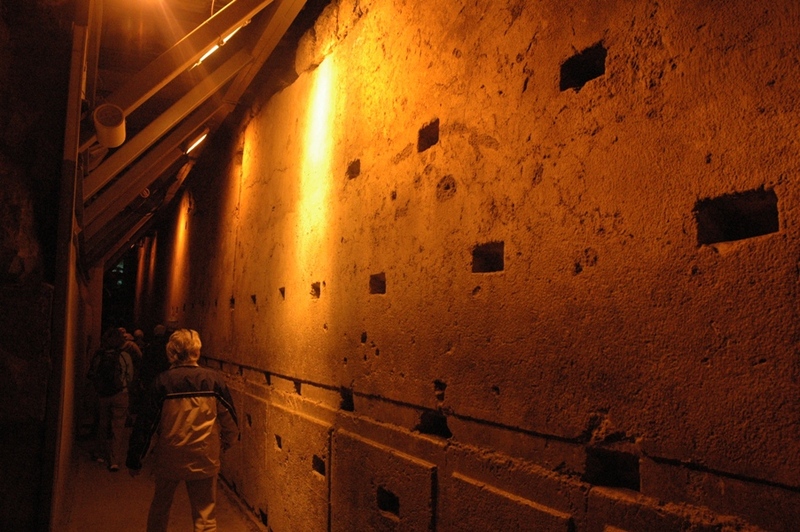 It’s still one of the best tours in Jerusalem, advance reservations are necessary. This stone that was laid into the western wall by Herod’s builders is not quite the largest building stone ever used, but it’s very close. At an amazing 570 tons, I heard one guide say that’s equivalent to two 747 jets, fully loaded. 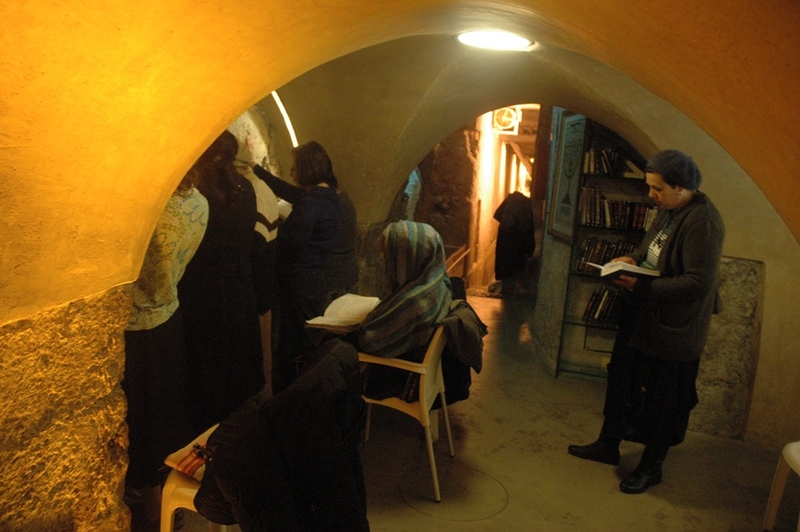 150 feet into the tunnel at Warren’s Gate is a small synagogue where Jewish ladies were praying. It’s the closest place to the ancient temple’s Holy of Holies (now occupied by the Dome of the Rock) that Jews today can pray. 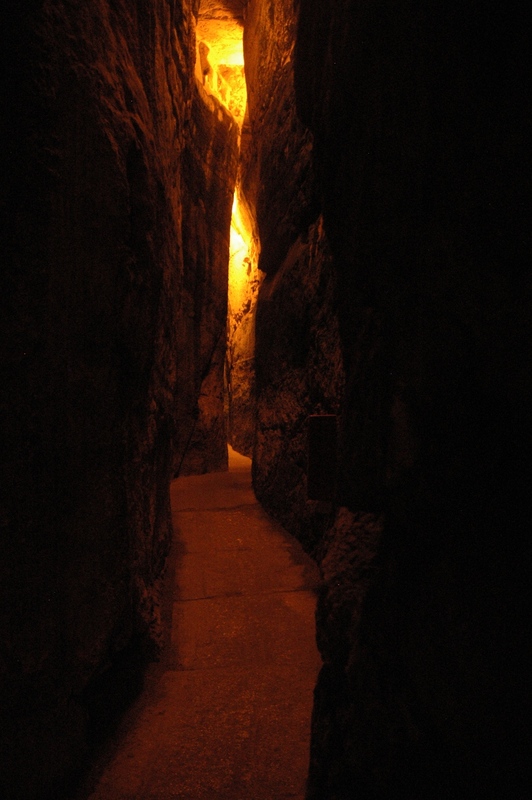 After walking on the first century street (from Jesus’ time) along the western wall, the route entered the Hasmonean water tunnel that, to my mind, resembled the Siq entrance to Petra. 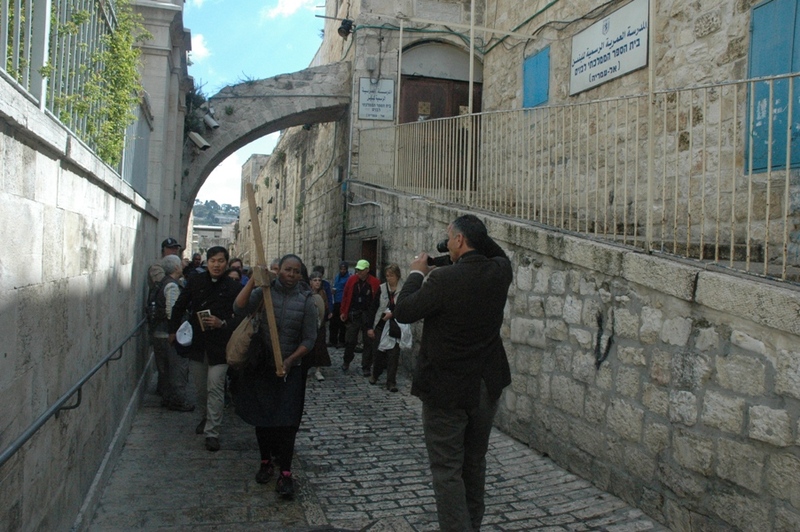 Finally, after passing across the Struthion Pool, we found ourselves once again at the Via Dolorosa, at the Sisters of Zion convent. 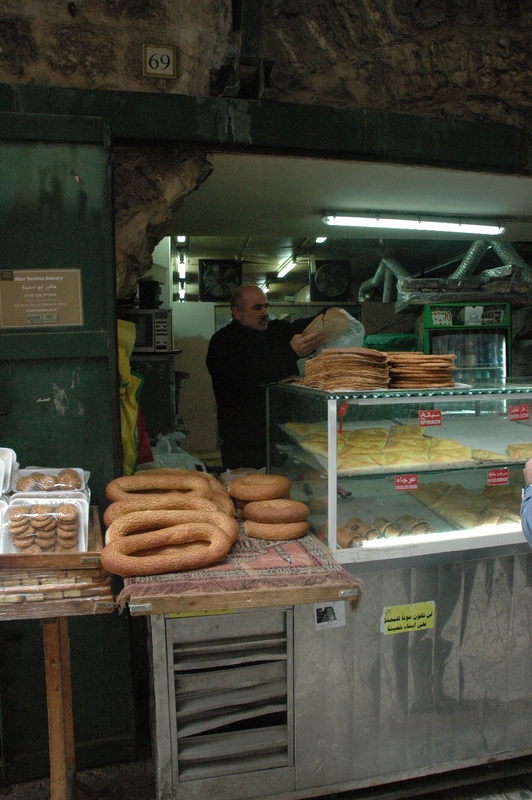 Back along the shops of the Old City we passed a bakery. 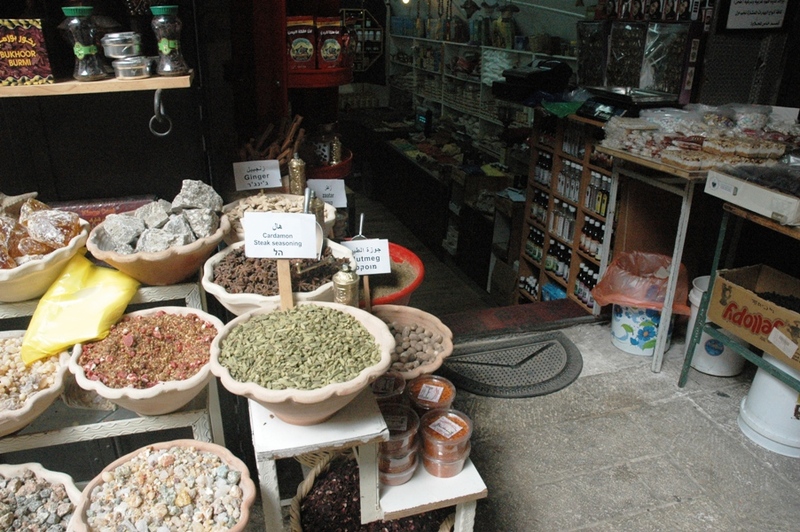 We also passed a spice shop, and many other interesting stores. 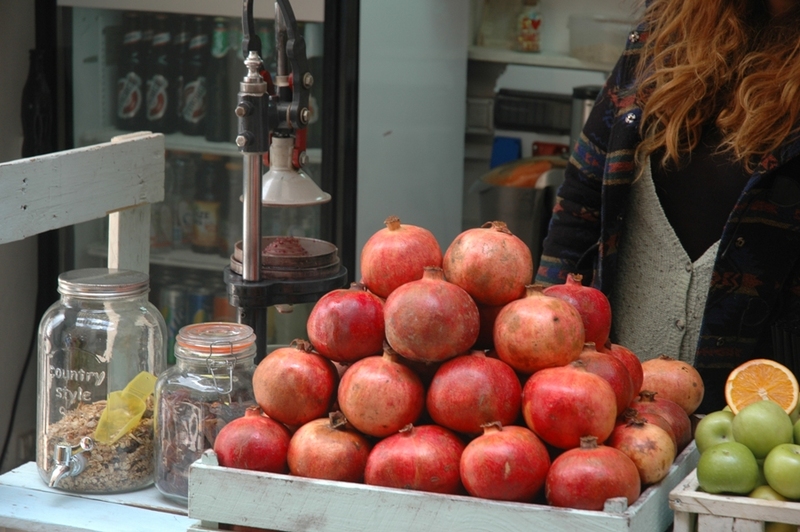 One store was selling freshly squeezed pomegranate juice. There were also the antiquities dealers. 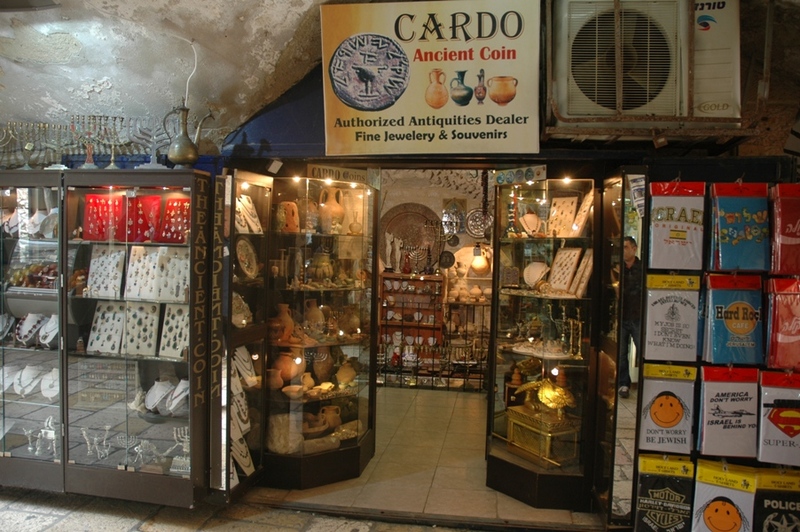 Although antiquities sales are legal, their presence encourages tomb robbers and other looters and I would not recommend their patronage. 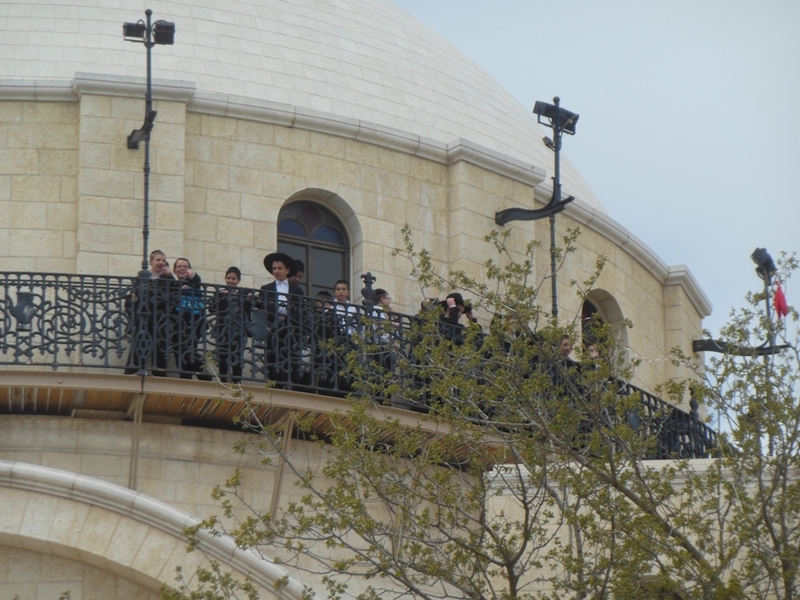 At the recently reconstructed Hurva synagogue I enjoyed watching a group of Jewish youngsters on a field trip. 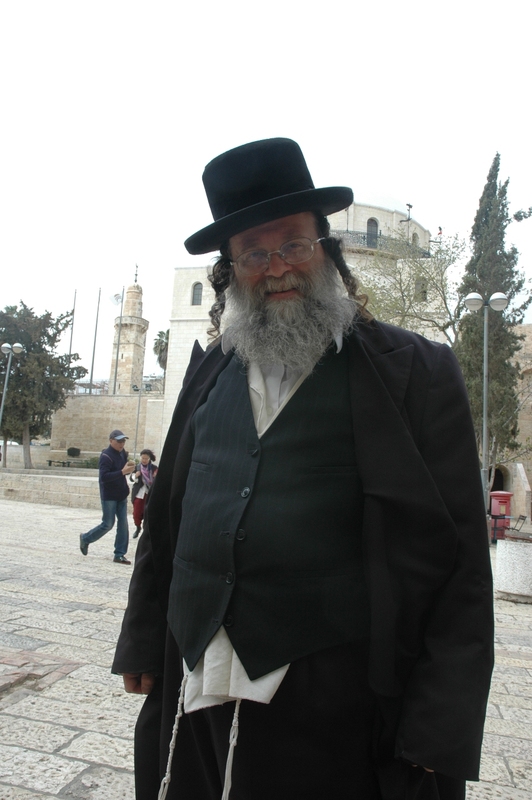 While sitting on the bench and resting after a busy morning, I was approached and solicited for a donation by a passing rabbi. “Sure,” I said. And then I asked to take his picture. “Sure,” he said. 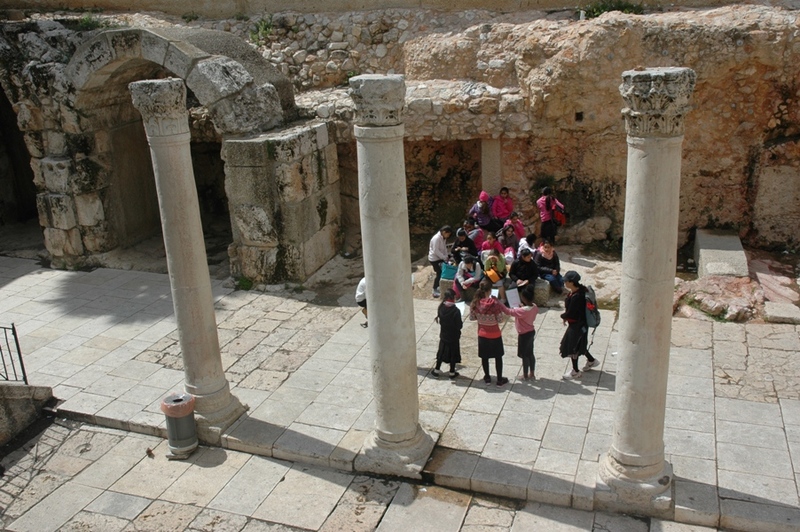 As we walked away from the Old City, we passed by another section of the Roman cardo, where we saw another group of school children on a field trip. From the Old City we drove to the Israel Museum, where a 1:50 model of Jerusalem in the first century is on display, with the modern buildings of Jerusalem in the background (including the Knesset, the Israeli parliament, upper right). 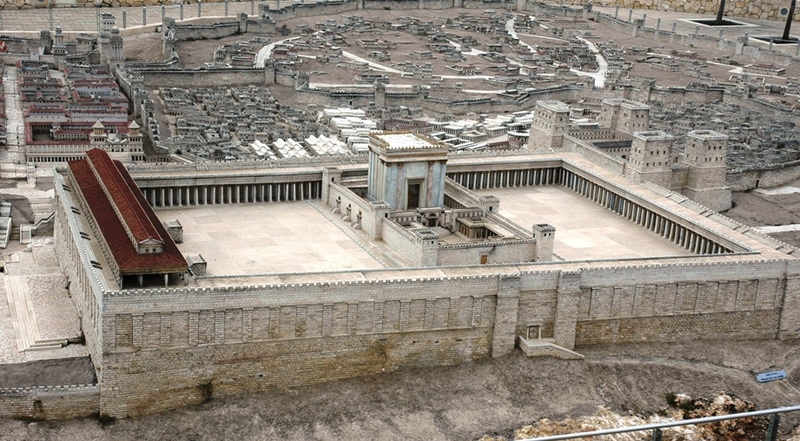 This part of the model shows what is called the Second Temple, which Herod built on the huge platform that is now called the Temple Mount. A stunning architectural achievement typical of Herod’s building projects. 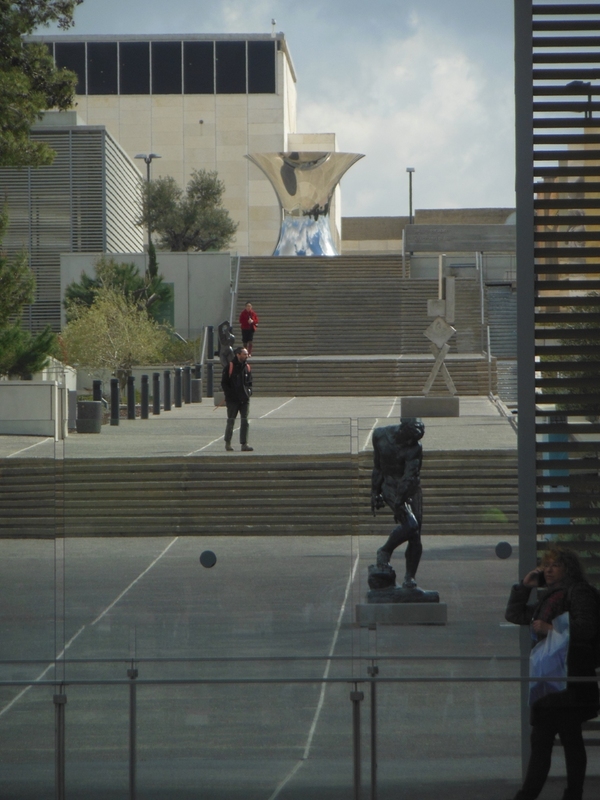 There is much to see at the Israel Museum including great works of art, and intriguing antiquities. 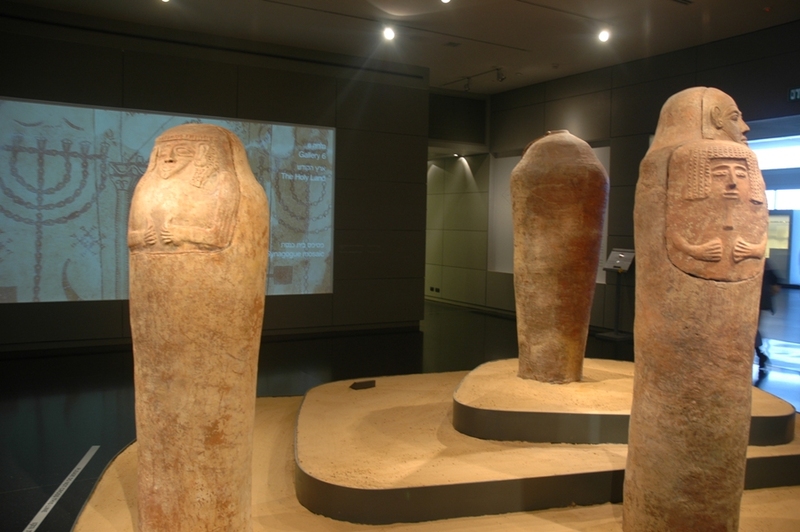 We had limited time so we focused on the antiquities, including these anthropoid coffins used by the Philistines. The Tel Dan inscription is one of the most important archaeological finds since the discovery of the Dead Sea Scrolls. 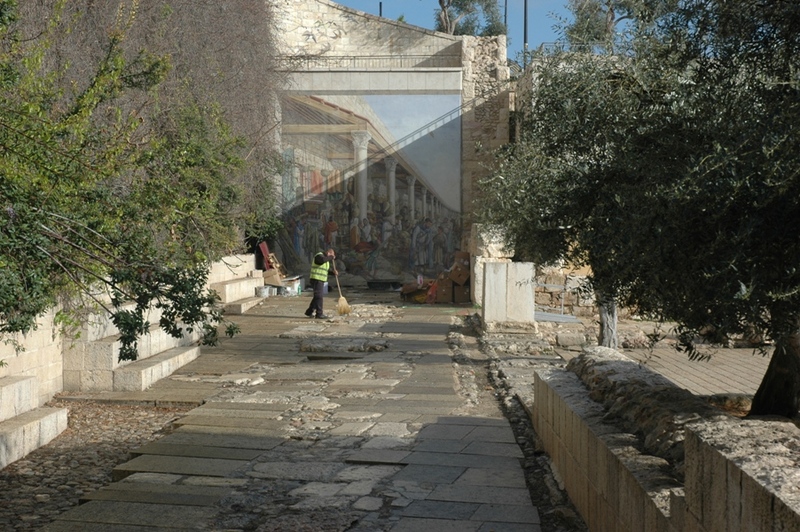 It refers to “The House of David,” the earliest archaeological mention of a biblical person. (See Tour Report #4, our visit to Tel Dan shows where this inscription was found.) 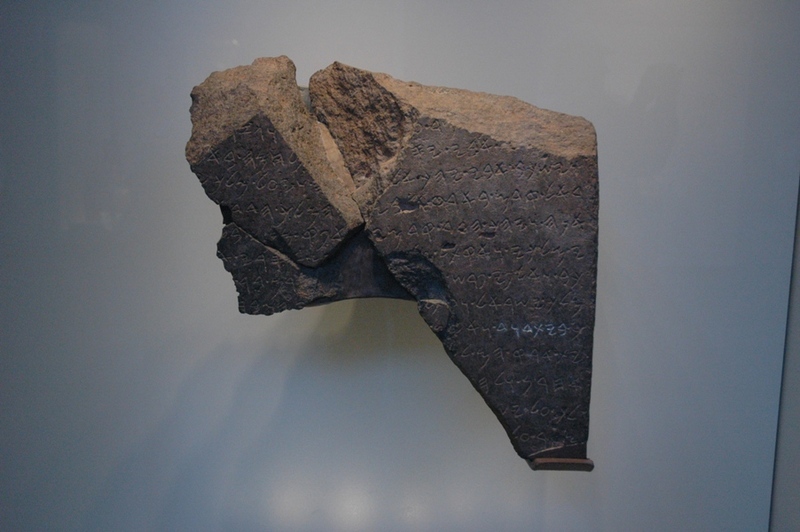 However, this is not the real Tel Dan inscription, but rather a replica. The real inscription was part of a special display in New York City during the time of our tour. 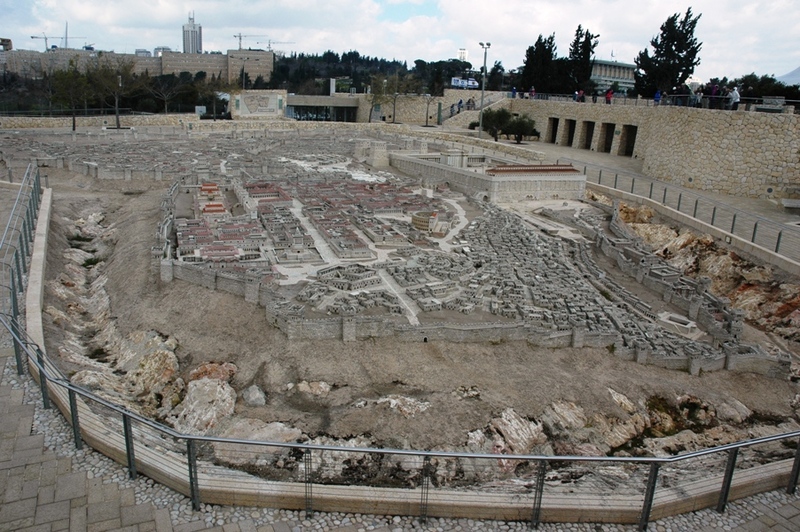 On TB&TS Tour Report #2 we included a photo of the archaeologically excavated Tel Arad temple, which also featured replicas. 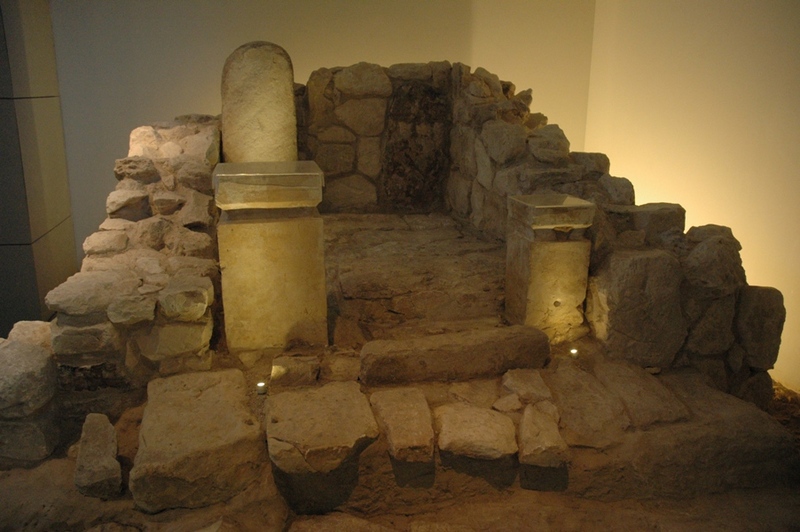 These are the original altars excavated from Tel Arad. These tiny scraps of silver contain the earliest Biblical passage that has ever been found. 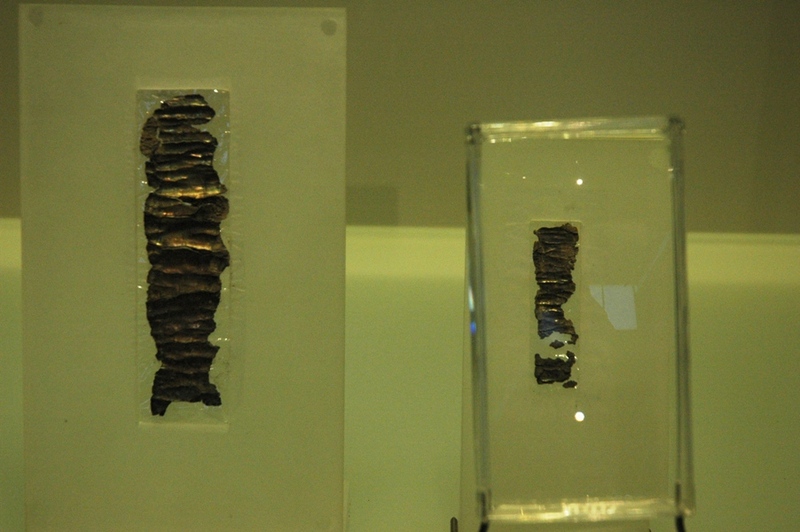 Excavated at Ketef Hinnom, just a couple of blocks from the hotel where we were staying, these amulet scrolls were unwound and found to contain a scratched inscription of the priestly blessing found in Numbers 6:24-26: “The Lord bless you and keep you. The Lord make His face to shine upon you and be gracious unto you. The Lord lift up His face upon you and give you peace.” These amulet scrolls date to 700-650 BC. 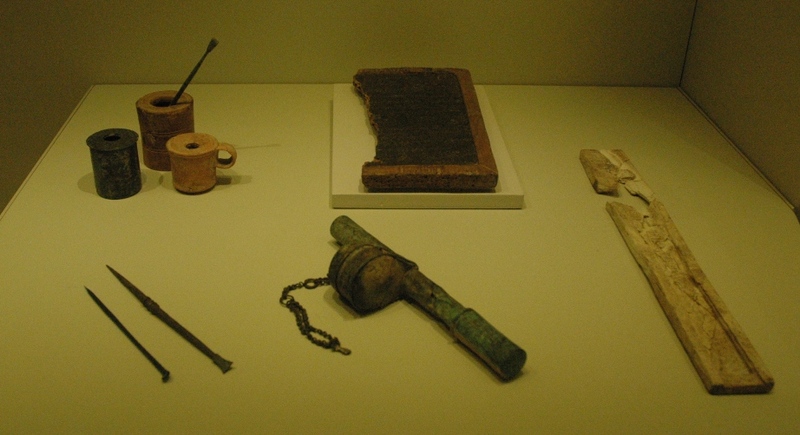 Tools of the ancient scribe, inkwells plus a wax tablet and styli. 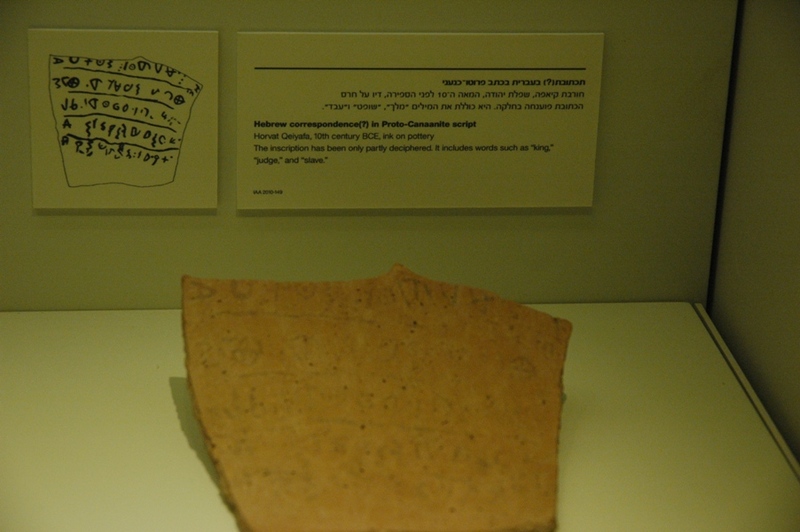 One of the oldest examples of Hebrew writing, the Khirbet Qeiyafa ostracon (piece of pottery with writing on it), discovered just a few years ago in 3,000-year old ruins overlooking the Elah Valley. 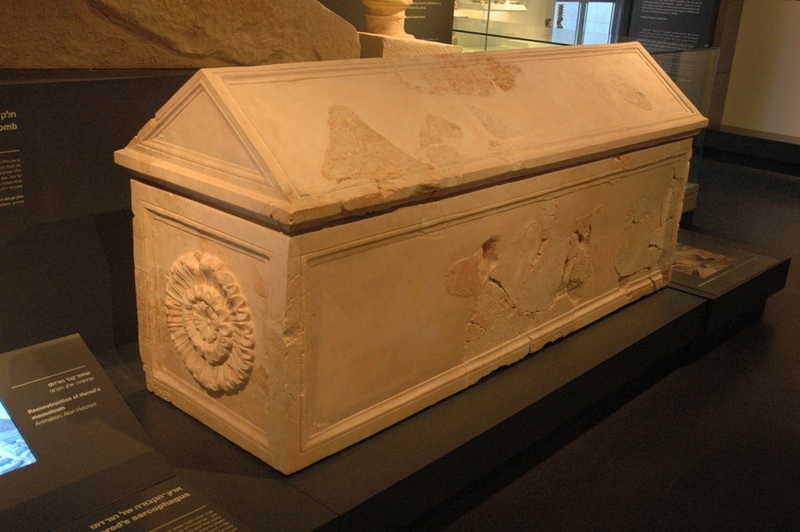 The reconstructed stone coffin from Herodium, which we visited the previous day. Archaeologist Ehud Netzer found this and two other stone coffins inside what he believes was Herod’s tomb. However, some of his students and other Bible scholars have questioned with the tomb was ostentatious enough to truly represent Herod’s megalomania. If not, then the tomb has still not been found. 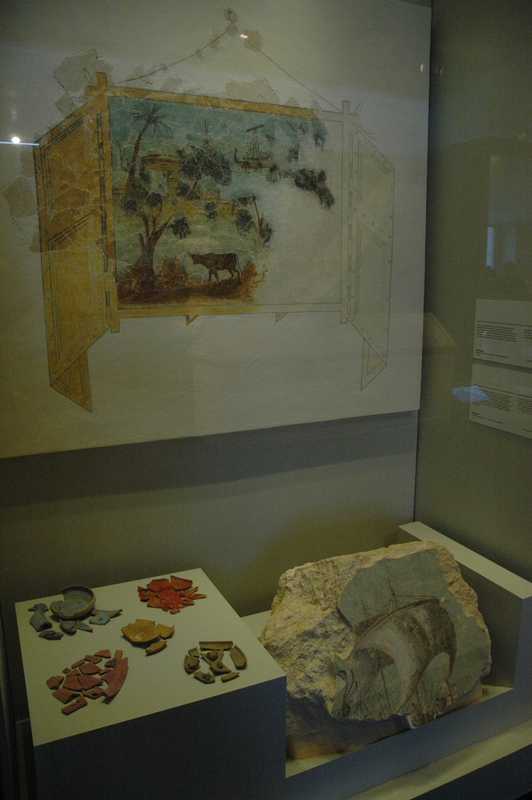 This faux window was recovered from the wall of Herod’s private box in the theater he constructed at Herodium. 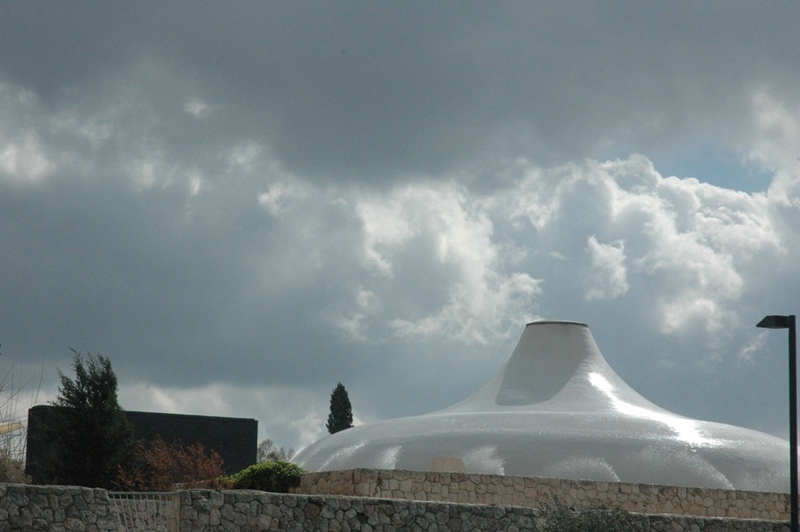 The Shrine of the Book, also at the Israel Museum, holds some of the Dead Sea Scrolls and related artifacts. The white dome resembles the tops of the jars in which the scrolls were found, and the contrast with the black wall represents the battle between the Sons of Light and the Sons of Darkness referenced in some of the scrolls. 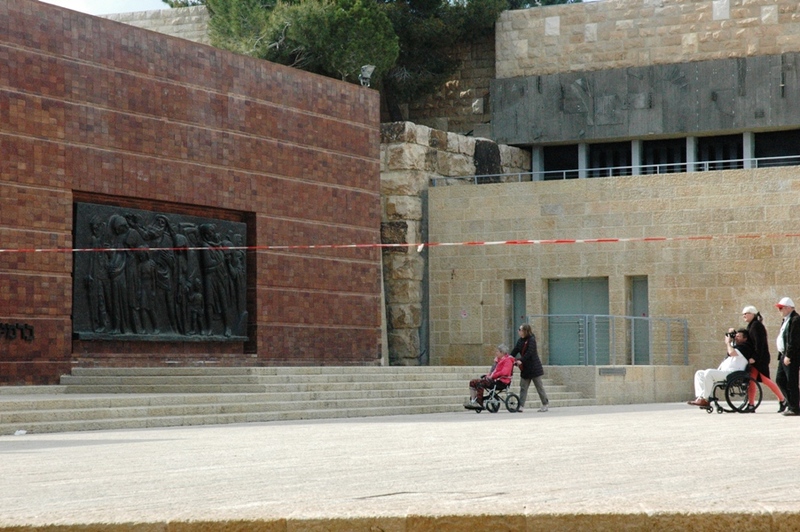 Another museum was our last stop of the day, Yad Vashem, the museum of the Holocaust. While our guide Shlomo related a compelling story that he had researched from his own family history, we watched some of the other visitors who passed by. We were seated in the Avenue of the Righteous Among the Nations where trees have been planted commemorating non-Jews who nobly risked their lives to save Jews during the Holocaust. 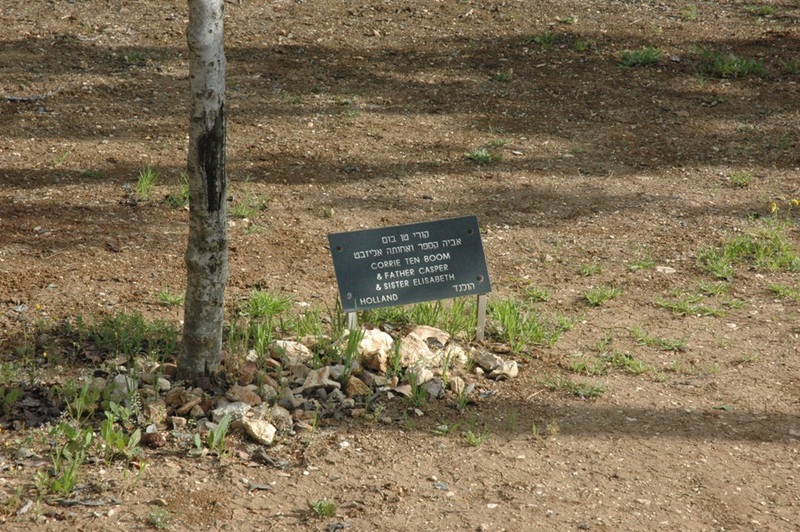 Nearby we noticed a new tree had been planted in commemoration of Corrie ten Boom and her family. 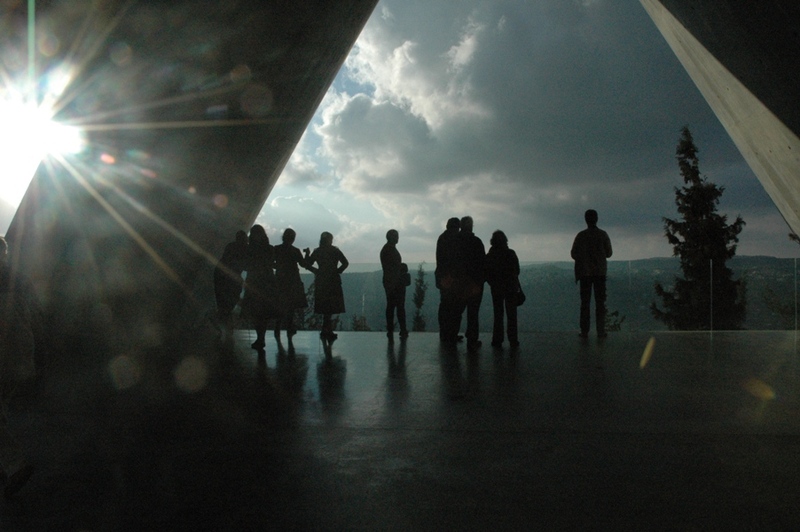 The exhibits of Yad Vashem are beyond sobering. They tell horrific stories that should never be forgotten. The exit from the exhibits looks out over the hills of Jerusalem, symbolizing the new hope that brought the Jews back to their Promised Land.